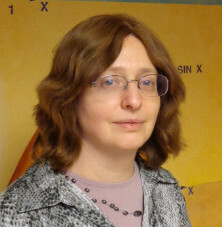 Inessa Rifkin, Irina Khavinson, and Nina Dubinsky will talk about Russian School of Mathematics, one of the largest enrichment programs in the Northeast. Come and listen to a short presentation, chat with like-minded people in the audience, and pose questions for the founders of RSM. The Russian School of Mathematics (RSM) opened in 1997 with the goal of creating a unique after-school mathematics program. The founder's hope was to build a systematic education based on the traditions of Russia and Europe and adapted to the needs of American students. 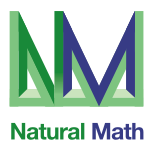 Today, RSM is one of the largest after-school math enrichment programs in the Northeast, and serves more than 13,000 students across eight states. Developed by a team of passionate and knowledgeable experts and based on innovative research into children's mental development, RSM's curriculum is unique in the US. Each lesson builds carefully on the concepts introduced in previous lessons and preceding years. RSM does not teach to a test or rush through concepts. Instead, the curriculum emphasizes derivation via logical and critical thinking over memorization. The school's overall goal is to provide the students with a foundation of deep mathematical knowledge and an agility of thought that will serve them well throughout their entire lives. Irina Khavinson is an expert educator with extensive experience working with all levels of students in all grades from elementary school to high school. She is dedicated to teaching and adamantly believes that every child can learn to master and love math. After 15 years of impressive results, Irina continues to head RSM's dynamic curriculum department where she focuses on extending RSM's innovative approach to every child in every grade and at every level. Nina Dubinsky holds Ed.D. in Mathematics Education from Rutgers University and M.S. in Applied Mathematics and Computer Science from Air and Space Institute in Moscow. 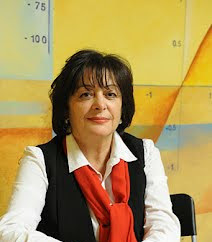 Dr. Nina Dubinksy is an experienced Mathematics Curriculum developer, having worked in the field since 1998. 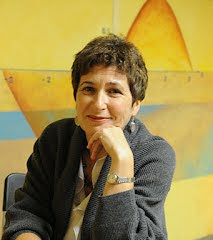 Dr. Dubinsky is also an accomplished educator, and Director of Curriculum at RSM. Her professional credits include directing the design of curriculum and pedagogy for Think Math!, a comprehensive K-5 program.